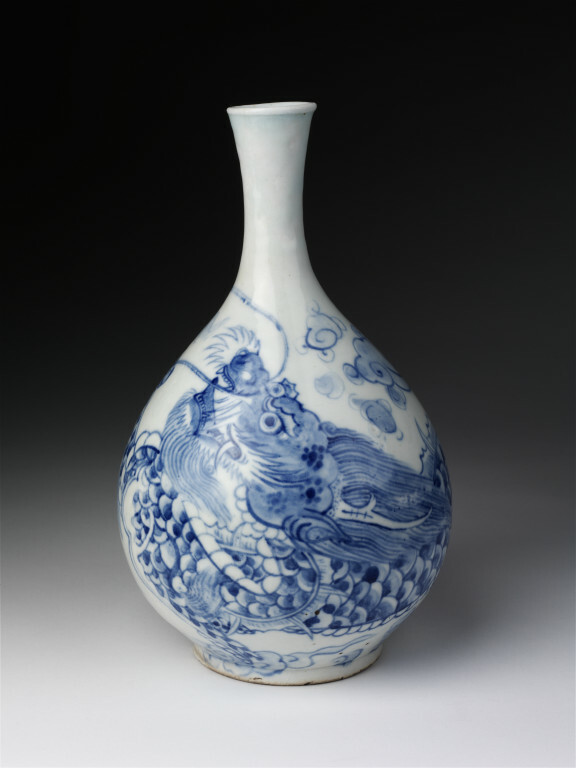 The dragon coiled around this round-bellied bottle has a large, powerful head. Dragons are a popular decorative motif found on Korean ceramic vessels, and indeed on other pictorial and decorative arts. As potent creatures embodying the male, positive 'yang' principle, dragons carried wishes for success and high status. Typically, the dragon is shown among stylised clouds, as he pursues a flaming pearl. 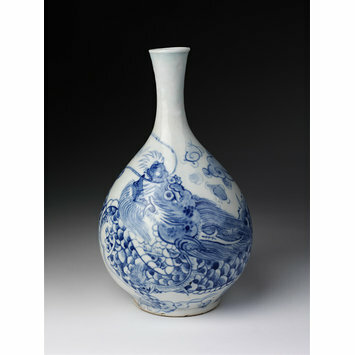 Wine flask of porcelain, bulbous with short narrow neck flaring towards the mouth. Painted with a dragon chasing a flaming pearl among clouds. On the base, the Chinese character meaning 'superior' is incised.